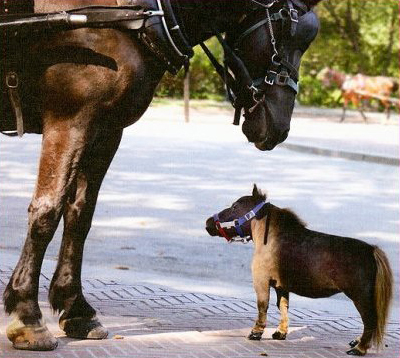 The horse name Thumbelina is a world’s smallest horse, just 17 inch tall also she has been declared world’s smallest horse by Guinness Book of Records. Thumbelina (born May 1, 2001) is a dwarf miniature horse.She stands 43 centimetres (17 in) tall and weighs 26 kilograms (57 lb).Thumbelina was born in St. Louis, Missouri. Her owners, Paul and Kay Goessling, and her handler, Michael Goessling, care for her along with many other miniature horses on their small farm in Ladue. Normal horses lives for about 35 years, but she is only likely to live up to the age of 17 because of her size. The five-year-old received the title from the Guinness Book of Records after her astonished owners realised she was never going to grow any bigger. 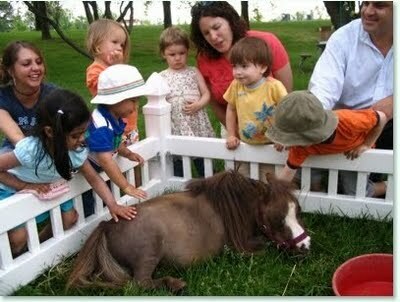 The tiny mare has become sometime of a celebrity in her home town in America. Previous article Left Brain & Right Brain Conflict,Must Try. Next article The smallest waist in the whole world(Cathie Jung). Left Brain & Right Brain Conflict,Must Try. The smallest waist in the whole world(Cathie Jung).